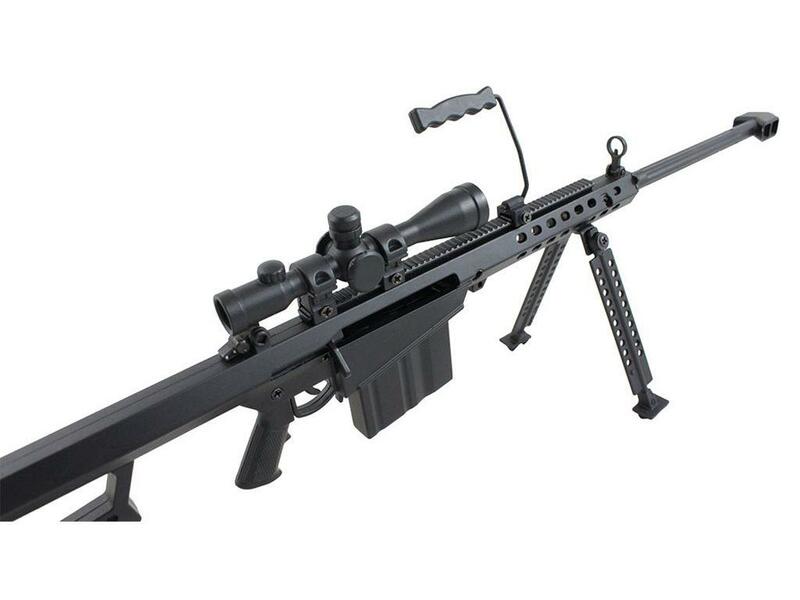 M83 Sniper 1:4 Scale Model Rifle Display | ReplicaAirguns.ca | Easter Weekend Sale! 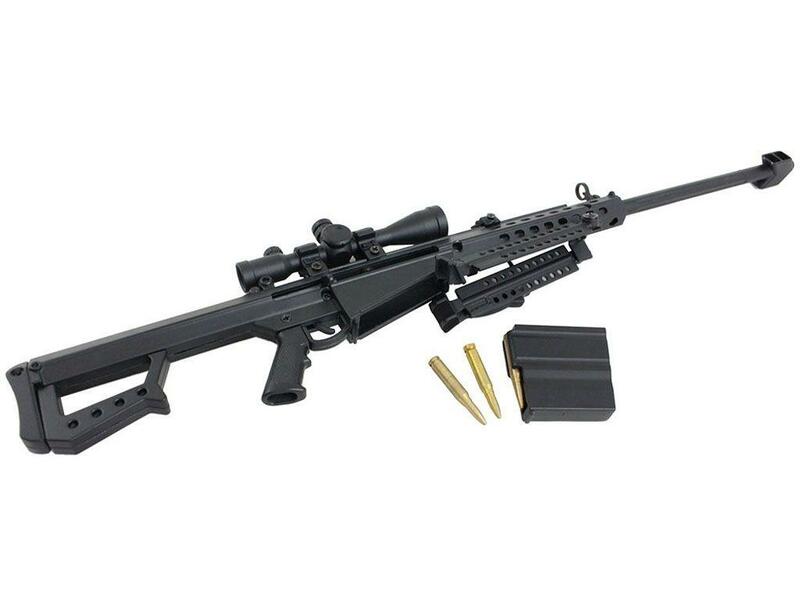 The M82/M107, standardized by the U.S. military as the M107, is a recoil-operated, semi-automatic anti-materiel rifle developed by the American Barrett Firearms Manufacturing company. 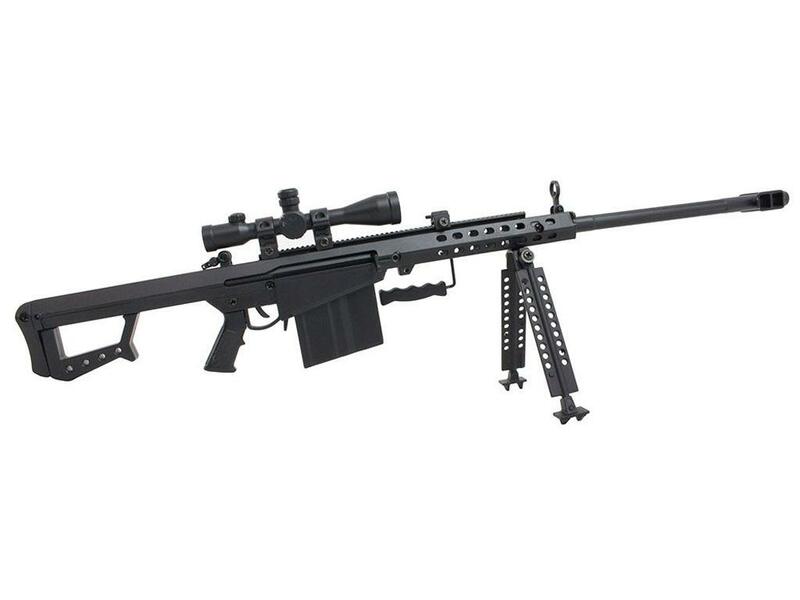 The origins of the anti-materiel rifle go back to the First World War, during which the first anti-tank rifles appeared. While modern tanks and most other armored vehicles are too well protected to be affected by anti-materiel rifles, the guns are still effective for attacking unarmored or lightly armored vehicles. 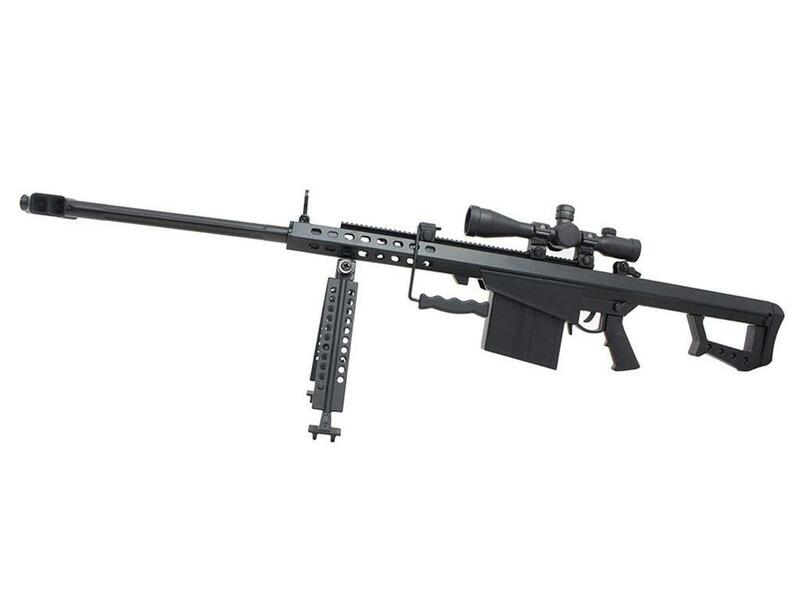 Despite its designation as an anti-materiel rifle, it is used by some armed forces as an anti-personnel rifle.